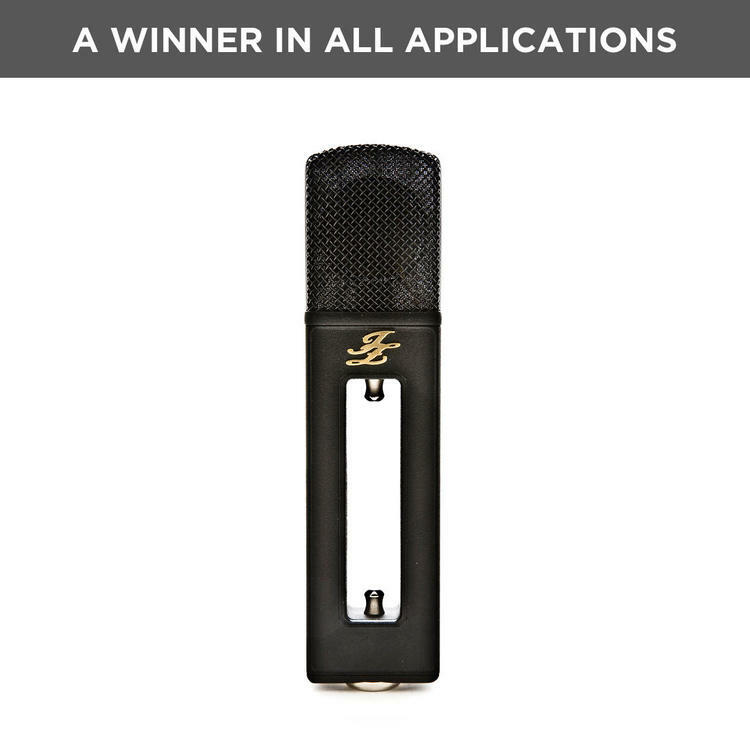 For about ten years, a European company called JZ Microphones has made its flagship Black Hole 2 (BH2) studio microphone, supposedly a versatile, visually stunning, and beautifully sounding mic that “easily finds its place among celebrated all-time classics”. It seems that up until now critics have showered this piece of technology with one favorable review after another (to the point where it almost gets a bit ridiculous), so we thought we’d give it a try and see if it really deserves such generosity. JZ Microphones present their BH2 as a “premium”, “high-end” studio microphone, but I’m sure most of you will agree that it does not really look the part. First of all, there’s a hole in the middle. The microphone seems to be rather small and thin, and it doesn’t look like it will fit in a standard spider shock-mount. It leaves you with quite a few questions when you unpack it for the first time, but let’s take a look at some important facts in the brochure. BH2 is a fixed cardioid, large diaphragm 1,06" (27mm) condenser microphone with one large, true electrostatic capsule inside the compact head. Qualities that make it stand out amongst the rest of the herd are JZ Microphones’ patented capsule making technology, Golden Drop Capsule (GDC). Once this technology is implemented, it gives the microphone extra low self-noise level of 7,5 dB (A), discrete class-A electronics, maximum Sound Pressure Level (SPL) of 134,5 dB, and a unique reverberation-canceling shape. It also comes with a specially designed shock-mount and is made by hand. When we decided to test the BH2 we came up with quite an obstacle course: we would use it in all sorts of vocal applications with numerous singers and different types of voices. Upon playing back the very first takes, it became clear how unfair it was to judge this microphone by its looks. The recorded voice sang to us with almost no coloration yet the sound was very flattering (especially for male vocals, as it later became clear) and seemed polished. BH2 presented itself to us in a very primal way. It was like being approached by a large wild animal: you feel its presence instantly. There was no need to analyze the sound or compare it to something else. It was clear right then and there that this mic should not be disregarded. It produces very crisp, detailed voice recordings and would probably do an amazing job with rap vocals. 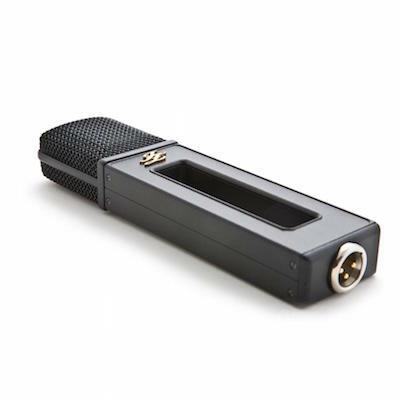 It performs very well both close up and from a considerable distance and captures clear recordings of multiple singers at once. Sure, it gave off U87 and C414 vibes (as often mentioned in reviews), but the amazing part that there’s a very large, dominating chunk of its own personality in there. It delivers the actual sound of whatever it is you’re recording with no apparent noise and features ridiculously low, yet beautiful coloration. This microphone is made for professionals and should be used in high-class studios. To a seasoned recording engineer, it will deliver the pristine sound that is expected of such a specialist. To a singer, it will bring out the very best characteristics of your voice. To someone who is not yet ready, it will tell it to you straight and emphasize your shortcomings. There is no disputing that putting “premium”, “high-end” (or any other fancy English words that the BH2’s European engineers can think of) on to the box of this microphone is completely justified. Although the unusual shape and origins of this microphone can leave you perplexed at first, it soon becomes clear that back in 2007 when JZ Microphones created the BH2, they came up with a whole new design for technology that recently celebrated its 100th birthday.